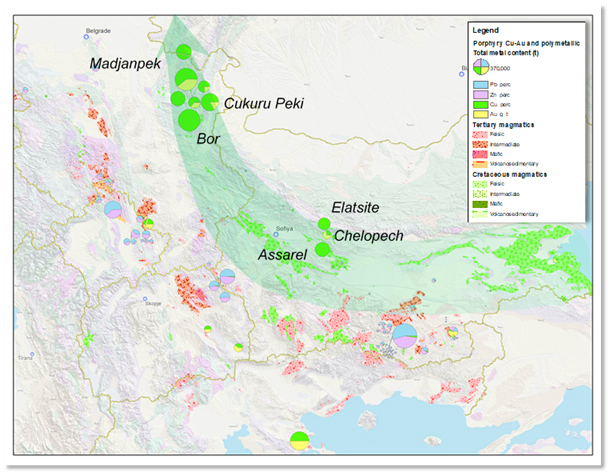 Vardar Minerals exploration projects focus on the extension of the Tethyan Belt into southeastern Europe. This region is historically the one of most important metallogenic provinces of Europe and is currently the focus of global exploration and mining initiatives. Late Cretaceous subduction-related northern arc (ABTS), host to several world-class Cu-Au and Au deposits including Moldova Nouă, Majdanpek, Bor, Cukuru Peki, Elatsite, Assarel, and Chelopech. Despite the high metal endowment along this Metallogenic Belt, large tracts remain unexplored with only limited exploration carried out under cover. This is highlighted by the recent Cukuru Peki (350 Mt @ 2.9% Cu, 1.7 g.t Au) discovery. 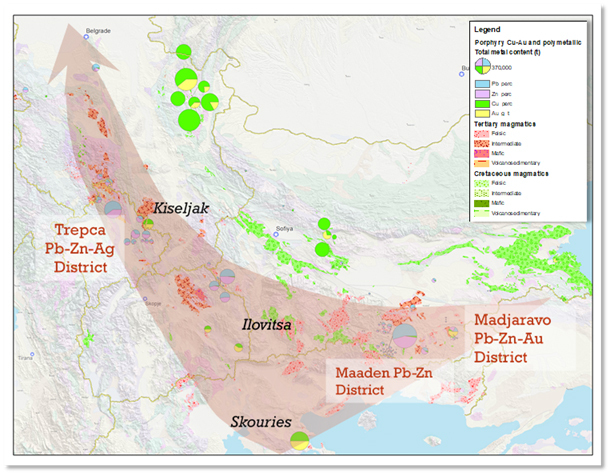 Vardar Minerals Ltd is a UK registered exploration company with a focus on the metal endowed Balkan region. Licensed acreage focusses on Au (Ag) and Cu-Au mineralisation and includes several porphyry-epithermal systems.